Don’t Sweat the Small Stuff for Moms Book Giveaway!! Mother’s Day has come and gone, but that does not mean we stop being a mom! 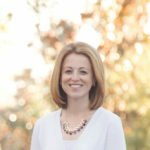 While being a stepmom I read every book about parenting there was! You’d think I would be super prepared to be a “mom”, right? Wrong, I still do stuff wrong and I worry a lot! 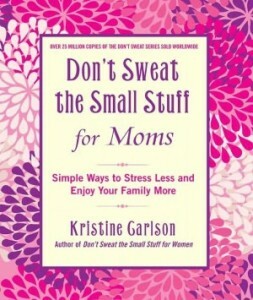 I received a new book called Don’t Sweat the Small Stuff for Moms, by Kristine Carlson. I’ve read some of the other Don’t Sweat books, but I love that this one is geared just for us moms! One chapter that meant something to me, was chapter 8, Surround Yourself with Great Mothers. Before we moved, I vowed to myself to find other women to hang out with. When I was working full time, I never had any friends outside my workplace. And while I did seek advice and shared opinions there, I knew I would need another outlet once we moved. It’s important to find other moms to share ideas and concerns with. I have met many great moms already and am looking forward to meeting more! Chapter 11, Practice Breathing Before You Speak, kinda says it all! I have this problem sometimes, as I’m sure many do. I’m a work in progress. Chapter 67, Laundry is a Family Activity – is so true! Everyone wears the clothes, we all dirty them, we should all help take care of it! Thankfully, my hubby is okay doing this and both my kids help out! Okay.. so I don’t want to giveaway to much of the book. Would you like your own copy? See below, one Mommy Has to Work reader will get their own copy! Sign up to read the first chapter here! 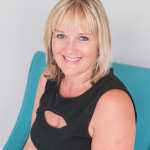 Read more about Kristine Carlson here and check out their Facebook and Twitter pages! Being a Mom of four daughters, I’m sure this book would be perfect for me! Just got turned on to this blog by Savings Dollars and Sense and I can totally relate! I’m in school working on my Associate’s degree in Nursing, working, trying to maintain my family/household and all while not LOSING MY MIND!! Even if I don’t win this book, I think I will go buy it. Thanks! Id just be good to read, I like to read a lot and anything that helps is even better.